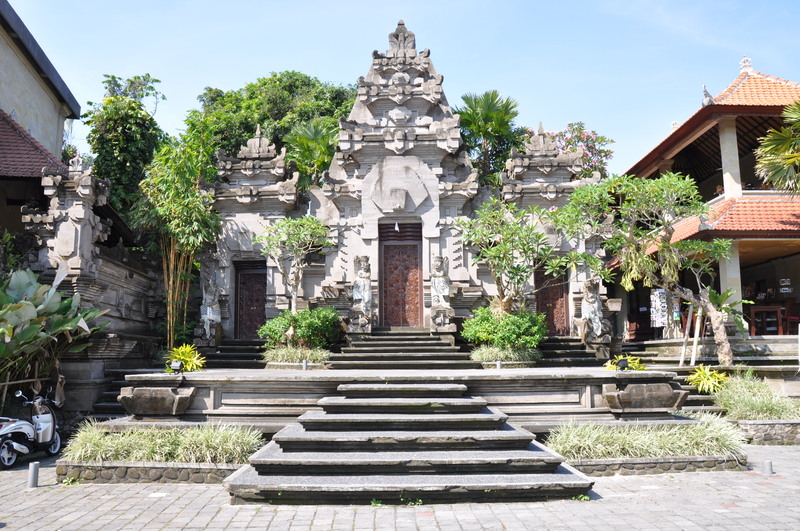 Pay a visit to Museum Puri Lukisan, the oldest art museum in Bali. Specializing in modern Balinese paintings and wood carvings, the collection here provides a fine introduction to the island's artistic heritage and social history. With many powerful pieces focusing on the War of Independence, the gallery offers a running commentary on political and cultural flashpoints and their fallout, as well as the development of aesthetic considerations. See the stylistic conversations between artists of different schools played out in the well-arranged exhibits, and admire the contrasts and similarities that come with different eras, mindsets, and personalities. Our Ubud tour itinerary planner makes visiting Museum Puri Lukisan and other Ubud attractions simple, and helps you make a travel plan personal to you. They visited because it was from the hotel shuttle bus to Ubud City station. Front of the Museum is a large parking lot. Interesting corners like Bali landscape painting. You can also purchase, exhibited paintings and with a price tag. Museum of four buildings have hot hotel, very comfortable room attractions include Ubud must not advance without interest or purpose was. Bali high galleries, gardens, a beautiful Museum of art this is why expectations did too. If you can see this garden Bali Resort seems to be moderately, the picture is just "good". The guide explains the meaning and history of the picture just looks like a really meaningful and fun, like to see the feud. .. Not knowing the meaning of complex figure star inspiration nor tired. Why not a tiring exhibition is too dark also have played a part in the picture looks like the fortification was. It is also very much of the old way of Bali a few is not the work of art. No need to lift my 85k and. A beautiful collection of traditional art spanning over multiple eras of Balinese history. 150000 rupiah to enter, which seems steep but is well worth it. The pre war art was my personal favourite, but the modern collection is definitely worth a look as it touches on western influence within Bali. Love this museum of Balinese art set amongst gardens, ponds and moss covered stone carvings. Some artifacts include little stories explaining the legends which I really enjoyed reading. A peaceful way to spend couple of hours in Ubud. Ticket includes refreshments in the cafe. The paintings were stunning. If you're an art history lover, I recommend this place. The ticket price was 85000r.p pp and that included a drink at their cafe when you were done adoring the artwork. This is a nice museum dedicated to Balinese art. There are 4 buildings, each housing works from different eras of art. Entrance fee is IDR 85,000. If you want a meal to be included, you can purchase a different ticket for a higher price. You will get a map of the place which will guide you through the best route to take through the museum. Each painting has a detailed description about it in Bahasa as well in English. It was one deep experience. Entrance fee is at IDR 85,000 for both foreigners or local. Large parking space and located in central of Ubud. Artworks are magnificent. Well maintained lotus ponds and garden. Every day, we help thousands of travelers plan great vacations. Here are some tips on how to use your Listing Page to attract more travelers to your business - Museum Puri Lukisan. Promote your permanent link - https://www.inspirock.com/indonesia/ubud/museum-puri-lukisan-a920202929 - on your website, your blog, and social media. When a traveler builds a plan from this page, the itinerary automatically includes Museum Puri Lukisan. This is a great way for travelers looking for a great vacation in your city or country to also experience Museum Puri Lukisan. Promoting your link also lets your audience know that you are featured on a rapidly growing travel site. In addition, the more this page is used, the more we will promote Museum Puri Lukisan to other Inspirock users. For best results, use the customized Trip Planning Widget for Museum Puri Lukisan on your website. It has all the advantages mentioned above, plus users to your site can conveniently access it directly on your site. Visitors to your site will appreciate you offering them help with planning their vacation. Setting this up takes just a few minutes - Click here for instructions.